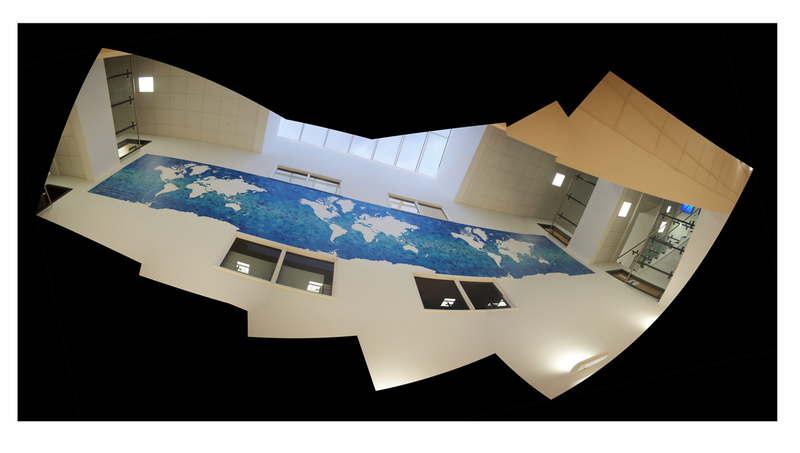 The giant map of the Oceans that I designed alongside a group of year 9 students has been installed at The Ridings Federation Winterbourne Academy. Hopefully an Ocean of calm in the school day. This entry was posted in Murals, New Work, public art, School projects on Wednesday, 19 November 2014 by Emily. I spent a week in February painting a mural in Birdwell Primary School’s main hall. Here is the first wall in progress. This entry was posted in Murals, School projects on Saturday, 1 March 2014 by Emily. The start of the ‘I want to visit…’ walls of the Birdwell School hall. Suggestions ranged from Africa, through rainforests, and all the way to Narnia. You can see many more photos of the finished hall here. This entry was posted in Murals, School projects on Friday, 28 February 2014 by Emily.